I prepare Wills on a weekly basis. Once a client’s Will is finalised, I will forward it to them along with signing instructions, should the client wish to sign their Will independently. If this is an option they chose, I follow up and reiterate that they must follow the signing instructions. Unfortunately, I have many original Wills returned to me that are not signed properly. 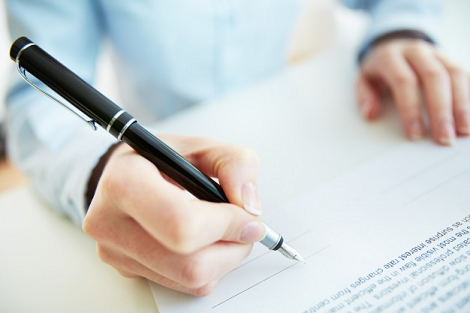 Why is it important for a Will to be signed properly? In Queensland, if a Will is not signed in accordance with section 10 of the Succession Act 1981 (Qld), it will be considered an informal Will. It is generally a more expensive exercise to obtain a grant of representation from the Court of an informal Will. The costs associated to obtaining a grant of representation will come from the estate. Therefore, to save your loved ones the expense of obtaining a grant of representation of an informal Will, it is best to ensure your Will is signed in accordance with section 10 of the Succession Act 1981 (Qld). I recommend that the Will-maker and the 2 witnesses all use the same pen. This enforces that the document is signed at the same time. If the Will-maker and the 2 witnesses all use a different pen, this may imply the Will was signed by each person at a different time. If each party uses a different pen, it is possible that when the time comes to obtain a grant of representation the Court may require each of the witnesses to sign an affidavit stating the Will was in fact signed by each party in the presence of the Will-maker. The deceased person intended that the document to form his/her Will. It is important that you have a valid will. If you have a Will that has not been signed correctly, and you believe a grant of representation is necessary for the estate, please do not hesitate to contact me.